Warm and fully cushioned for long cold days from the sledding hill to ski school, the Kids Snow Medium Over the Calf socks keep them comfortable and complaint-free on cold winter days. The stretchy merino-blend design features breathable zones to vent heat and a seamless toe closure to help prevent bunching. 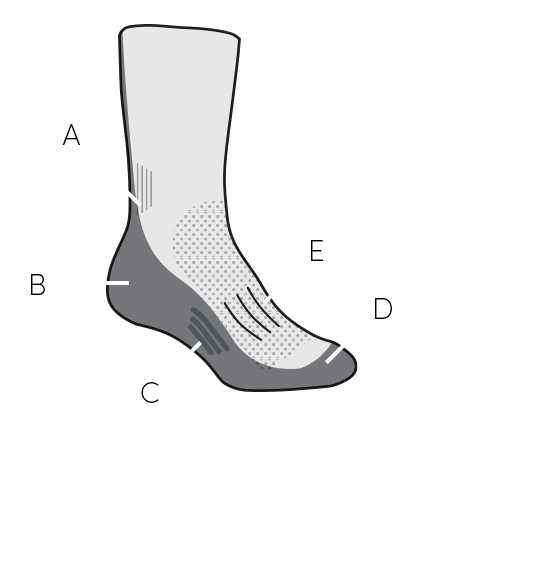 Reinforced areas in the heel and toe ensure these socks last for seasons to come.